Last spring, I had the opportunity to film three segments for QNNtv, and I didn't pass the chance up! Their studio's are located in Golden, Colorado which made it even more fun. QNNtv is a great way to watch a ton of different types of quilting shows online for a very reasonable price. Pictured above, I am with Jodie Davis, the host of the show. Jodie is the BEST and she made it sooo easy! No, I don't look like that in real life, they just have a great hair and makeup person. I did three segments starting with piecing this cute little Easter Egg, a pattern I wrote a few years ago. Then in segments two and three, I go over some crazy quilt stitches and show you some closeups of my black crazy quilt that I made several years ago. 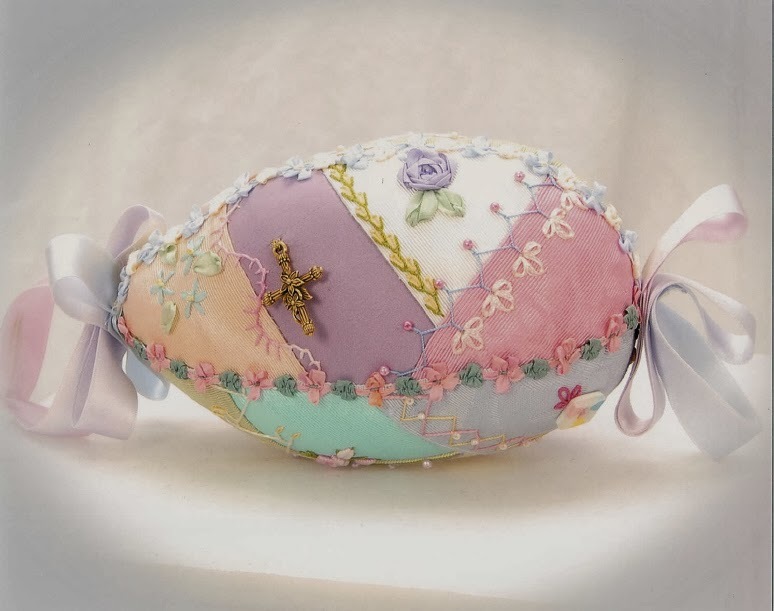 You can get the Easter Egg pattern here, if you are interested! My co-author, Allie Aller , also filmed three episodes for them and they are listed right next to mine. If you would like to see us on both on QNNtv, you can go here.